"There was one fixed price of $1695 including gst and no hidden extras"
Inevitably, most of us will one day have to plan a funeral for ourselves or a loved one. While this is a thought that most people brush aside, with the right funeral organisers and a gentle and caring approach, this process need not be one that causes distress. Rather, it can be a beautiful celebration of one’s life and achievements. It can also be carried out in such a way that it is an honest and warm reflection of one’s truth. With many different funeral packages out there, including low cost cremation services, you may need a little bit of time when making the correct decision for yourself or a loved one. Before you go ahead and select a service, here are a few myths about funeral planning that you should know about. 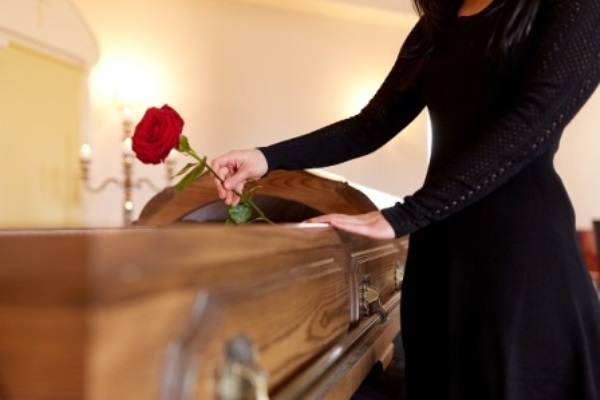 It is understandable why many people simply assume that funeral is going to be a costly event. Traditionally with most burial services, a family would be looking at many thousands of dollars spent to hold a funeral. Memorial costs along with a headstone and other variable can set you back $5,000-15,000. The good news today is that there are many alternatives to this. The average cost of a cremation is well below this figure, and it also provides a family the opportunity to spend their money on a service that really aligns with the life of the deceased. At Fixed Price Cremations, we offer a non-attended cremation service for the low price of $1,695 including GST. One of the older myths that we want to debunk today is that you need to have a religious official present at a ceremony. The fact is that a ceremony can be religious, civil or humanist, and doesn’t need to be held at a place of worship. Our low cost cremations are designed so that no one need be in attendance and you can spend your money on a memorial the truly represents the deceased. When people die, funerals are often held shortly thereafter. It can seem that you have such limited time to make decisions and get the funeral process moving. The fact is that you can easily preplan a funeral in advance so everything is decided and ready to go. Also, if you’re with the right funeral organisers, they will be able to streamline and make the whole process smoother for you. There are some myths about funeral planning out there that are in need of debunking. Knowledge is power and it pays to do your research before making any decisions. If you need any more information in regards to holding a respectful and affordable cremation service, feel free to contact our caring expert team today on 1300 262 797. At Fixed Price Cremations, we provide a simple non-attended cremation service in Melbourne at low price with no hidden or extra fees. Call our specialist cremation staff on 1300 262 797 to discuss how we can help you.